Victoria is loved for its diversity—a city where the youthful energy of the West Coast blends with time-honoured British, European and Asian traditions; where it is just as natural to picnic on a beach as it is to take tea in a formal tearoom; where you can explore on a bicycle or by a horse-drawn carriage; and where splendid historic buildings house galleries of contemporary art. 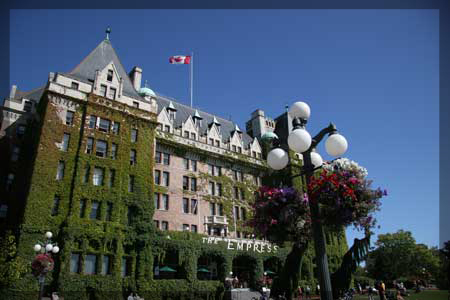 Victoria is a city of beautiful contrasts, with the elegance of history mingling with the panache of modern life. It is a place to relax and restore your sense of balance and also a place to experience thrilling adventures. Between BC Mainland and Vancouver Island lie a special chain of islands, known as the Canadian Gulf Islands. Each island offers a distinct and unique atmosphere, a bucolic mixture of rural farms and rare arts and crafts. The major islands of Salt Spring Island, Pender (North & South) Island, Mayne Island, Saturna, Gabriola, Galiano Island and the lesser-known, more remote Islands such as Texada, James, Thetis, Valdes, Hornby, Denman and Kuper are home to many well-known Canadians seeking peace and anonymity and an extraordinary number of artists and artisans. The stunning scenery provides maximum inspiration and the peaceful lifestyle nurtures the creative spirit. Annual fall fairs are an excellent way to taste the best Gulf Island goodies.